There is currently no cohesive method for sharing location-based hazardous materials data between various stakeholders such as property owners, municipalities, firefighters, and insurance companies. Insurance companies lose money from claims made as a result of injury or loss of life. Property owners pay higher rates as a result of these claims. 1) A property owner stores information about hazardous materials residing at their property with a data repository provider. 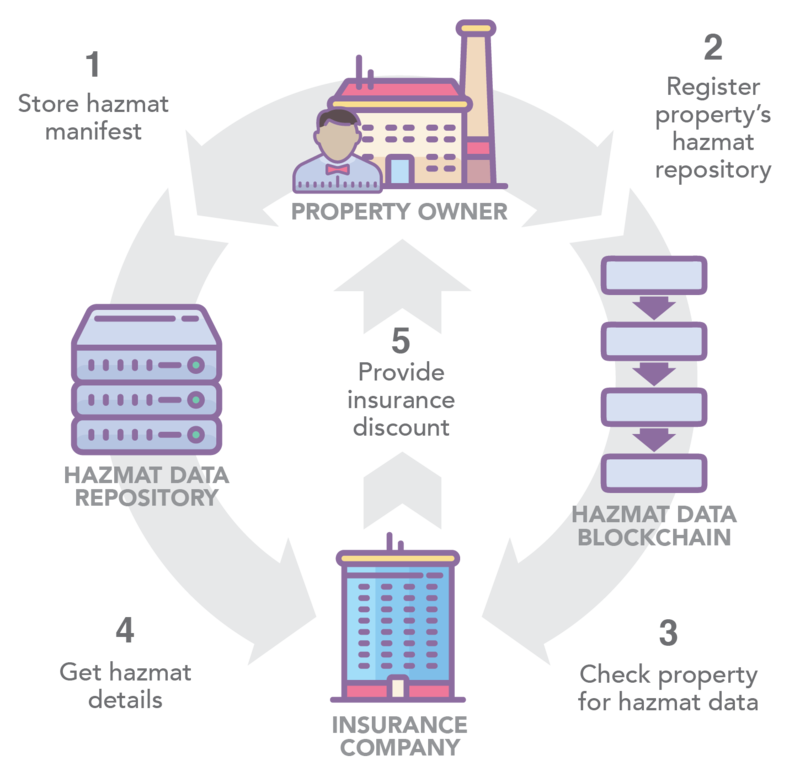 2) The property owner registers their hazmat data repository on the hazmat data blockchain. 3) The insurance company checks the hazmat data blockchain for a listing about a specific property. 4) The insurance company requests access to a hazmat data repository based on a listing in the hazmat data blockchain. 5) Once hazmat data is confirmed the insurance company provides a discount to the property owner.